Published in November 2012, this book is filled with important information for the experienced or newly licensed therapist. "Although addressed primarily to psychotherapists and counsellors, practically every page of this book applies equally to the practice of complementary medicine - acupuncture, osteopathy and so on - and it is essential reading for these practitioners. 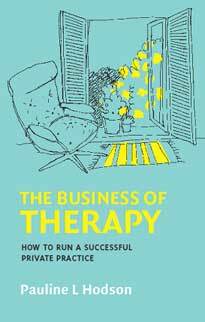 For it teaches, in far more depth than their training ever does, just what it means to be a therapist; and the book's clarity and wisdom will enhance the work done in any treatment room." Click here to learn how to purchase this title. Both therapists and patients operate in a wonderfully complex web of relationships, a formative field as formative and powerful as it is unspoken. This field is as strong and powerful as the unconscious itself. 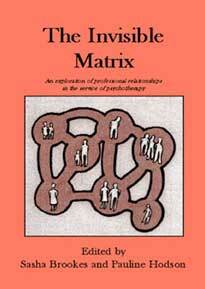 The book demonstrates to therapists and patients how the web of relationships in the wider world shapes our behavior in the consulting room. We are much more social than we might like to believe — a notion that has radical implications for theraputic practice in all its forms. Below you will find papers I've written. Tthe links will take you to the text of the paper itself, in full. Are Calling Cards No Longer Necessary?